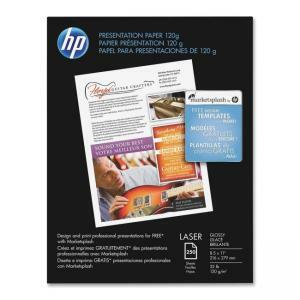 HP Premium Presentation Paper - Letter 8.50" x 11"
Print professional business documents with print shop quality without leaving the office. HP Premium Glossy Presentation Paper delivers excellent image quality and reliability, and is brighter and glossier than other presentation papers. This thick, heavy paper has a smooth, glossy coating for sharper images and richer colors. Save time and money, printing with fewer jams and multi-feeds. Unlike some other papers, this paper has been designed for printing on either side first.